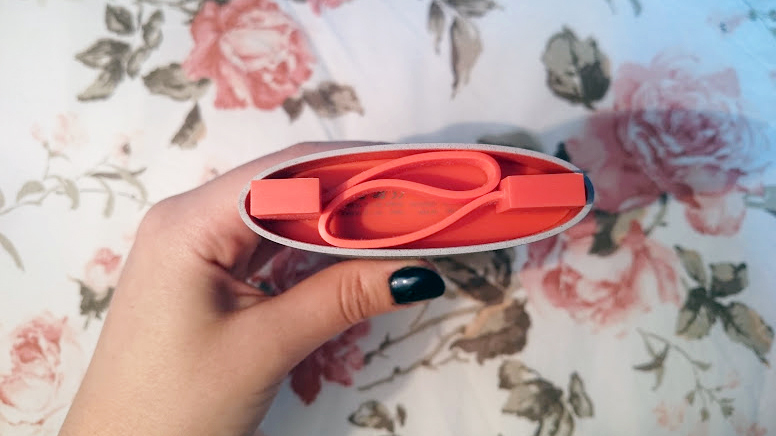 Biodegradable, made from recycled materials, you open the box, you get an oval box thingy that looks like a dinosaur egg, you open this thingy, you get another oval package thingy, you open it, you get the portable charger that looks like one of those stones you often see in Chinese films. It came with the user manual, the charger and a micro usb flat cable (that fits into the charger). No wall charger included. 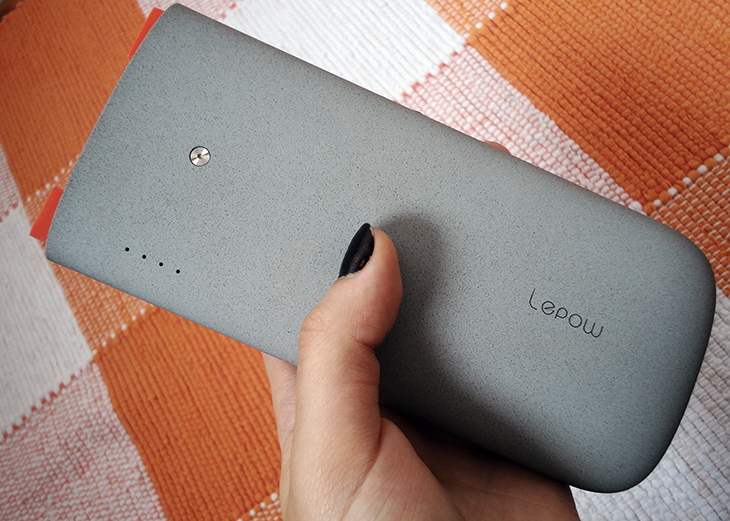 The 12,000mAh capacity puts Lepow's U-Stone ahead of smaller rivals, being able to fully charge my phone (Sony Z1) almost 3 times. Operating at a 1.8 Amp speed, it quickly charges my phone. I usually use it around 5pm, when I'm getting ready to go to uni & the phone's either already dead or dying. My class starts at 7pm and by the time I get to the classroom, the battery's already up to something around 90%. 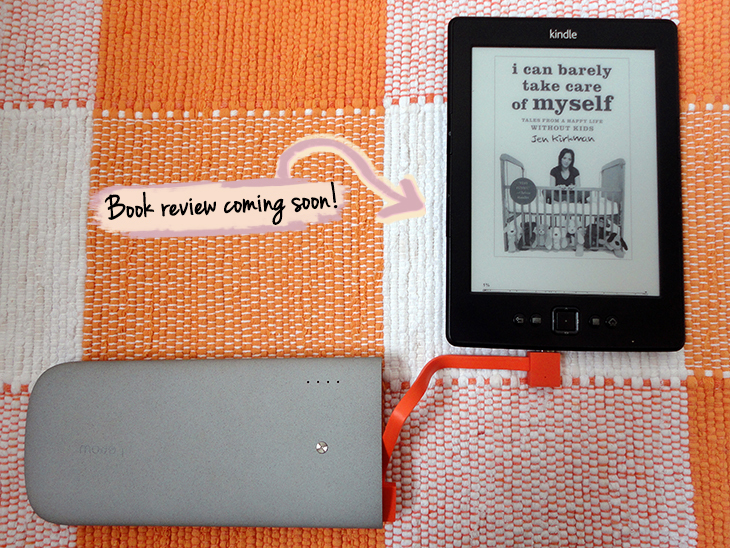 Other than that, the U-Stone "uses a safe, high quality lithium polymer battery (...). The smart circuit in the U-Stone protects against overcharge, over discharge, and overload." 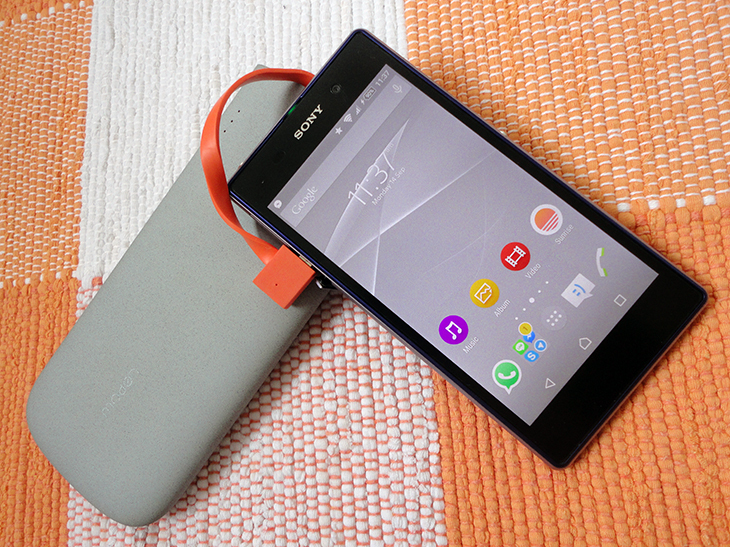 Oh, and to check the battery life, you have to shake the U-Stone. Yes, shake it. 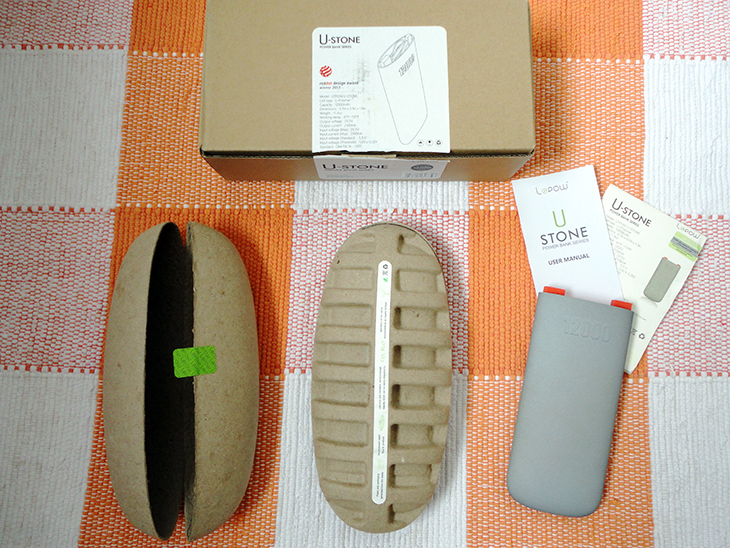 Lepow's U-Stone won the Red Dot Design Award - which supposedly means the product is both stylish and very functional. The U-Stone is, indeed, beautiful. According to the description, "the product also features a unique texture that feels like smooth white sand and a unique curved body for easy grip." Yes, it has a smooth texture, it's like a river rock - but it also gets dirty quite easily, and it shows. 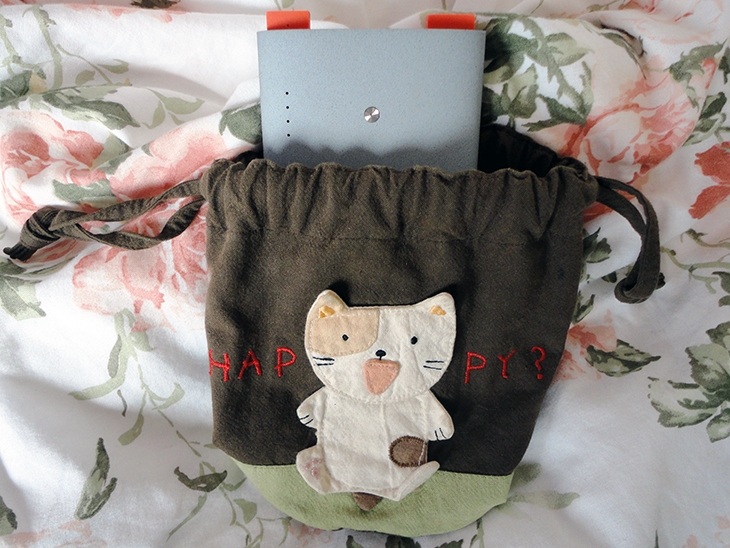 I rarely use it outside a little cloth bag I have, fearing it'll get dirty. When I first started using it, I made the mistake of pulling it out of the bag right after getting off a bus, before washing my hands at uni. It got sorta brown-ish. I felt frustrated. This is how the flat cable is kept when you're not using it - one "in" (micro USB) port and one "out" (USB). So, as you can see, it only has one USB port. An external battery pack bigger than my Sony Z1 and a bit heavy (6.7 x 3.1 x 1 inches & 12.8 ounces, to be exact), with a 12,000mAh capacity would definitely be better if it had more than one USB port! It's beautiful, its got a great texture. If you're obsessed about little dirty spots like I am, you'll feel like you have to clean it all the time or wrap it in something to protect it from the cruel world getting dirty. It doesn't come with its own bag. It's got power - lots of it. You can go on a 3-day-camping trip in the middle of nowhere that it'll be able to charge your phone and keep you connected - not if you keep streaming Netflix, though (but why would you wanna stay connected during a camping trip?). It's big - probably can fit into some men's pockets, but I always have to carry it in a purse/bag and I have never seen women's pants/shorts/whatever huge enough to fit an U-Stone in. I strongly recommend it if you're the kind of person that frequently stays a long period of time outside, working from your phone or a tablet. I can go 5, 6 days without recharging it - btw, it takes one night to fully charge (7 hours..?). Do you have any portable charger? Is it good? Do you need one? Of course you do, who doesn't these days. Tell me, tell me! * All opinions and suggestions in this post are my own; I was not paid to write this post.